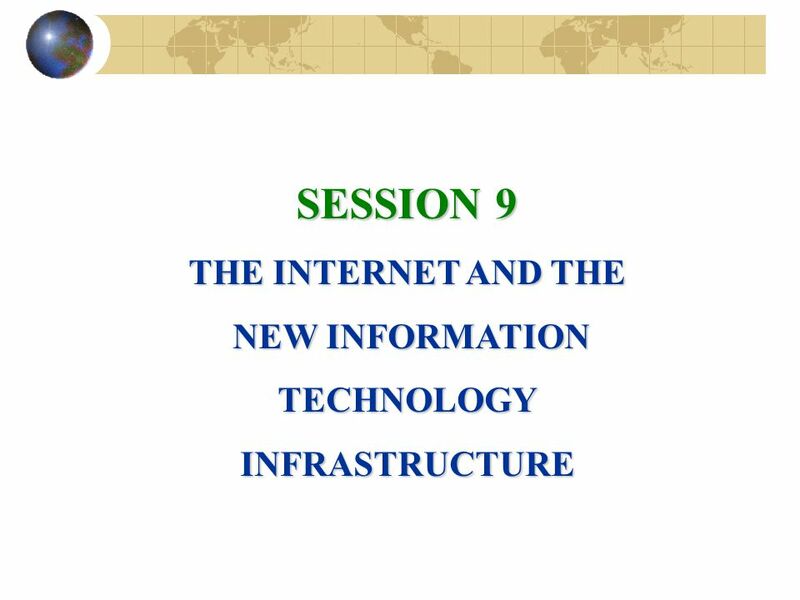 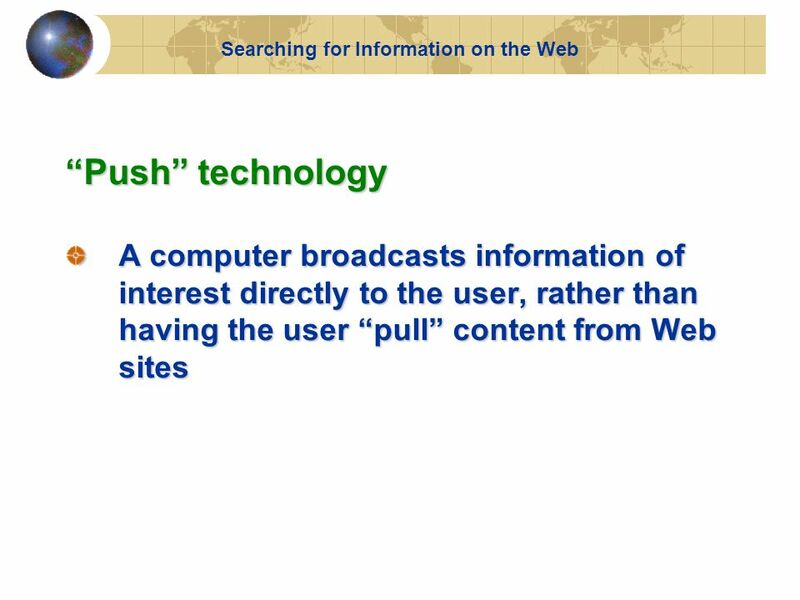 Download ppt "SESSION 9 THE INTERNET AND THE NEW INFORMATION NEW INFORMATIONTECHNOLOGYINFRASTRUCTURE." 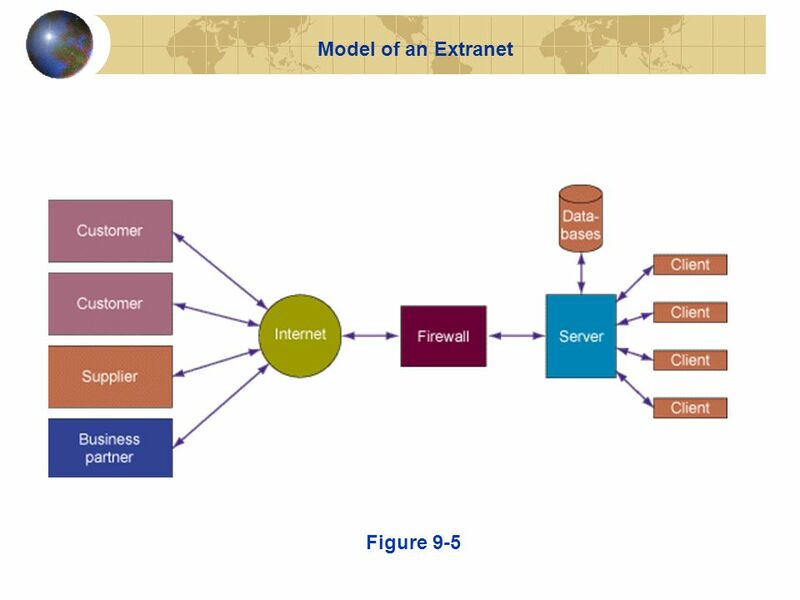 Fundamentals of Information Systems, Second Edition 1 Telecommunications, the Internet, Intranets, and Extranets Chapter 4. 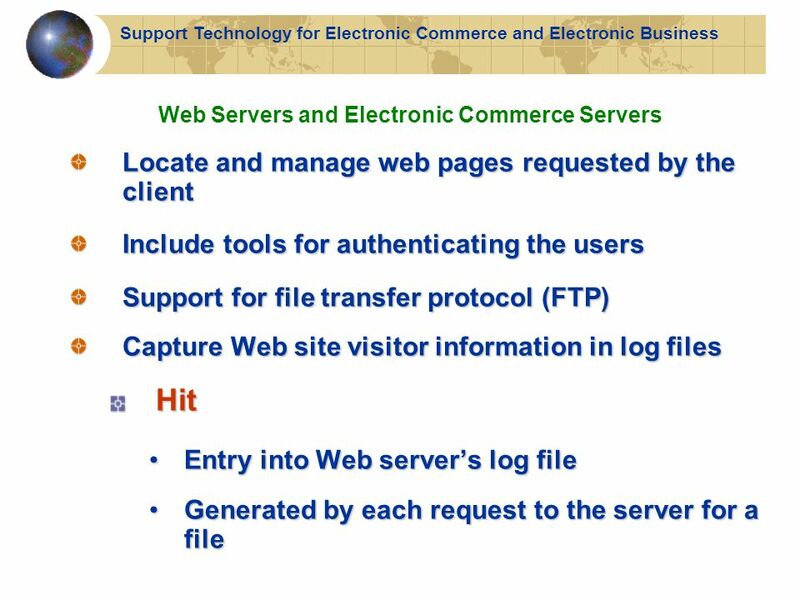 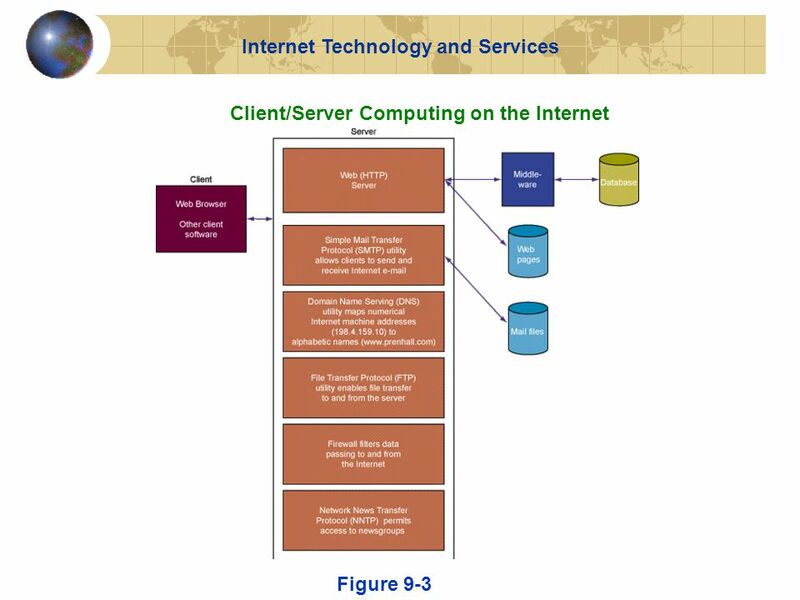 © Minder Chen, Web Architecture - 1 The Architecture of Internet and WWW Web Browser Client Web Server End User HTTP TCP/IP HTML documents Internet. 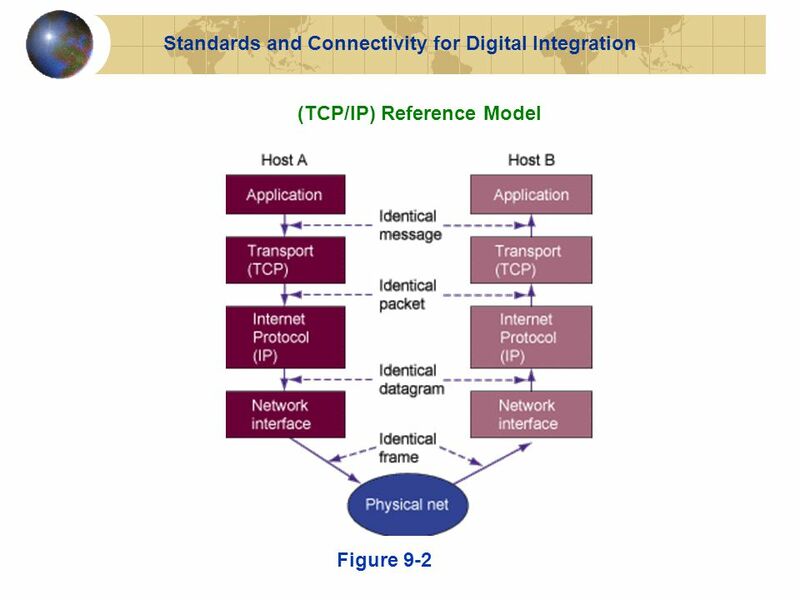 The Internet & The New IT Infrastructure Chapter 9. 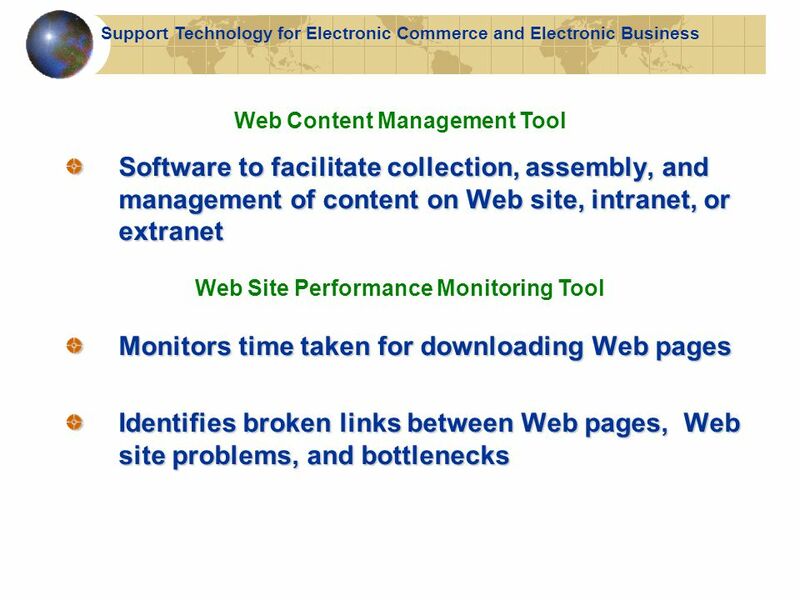 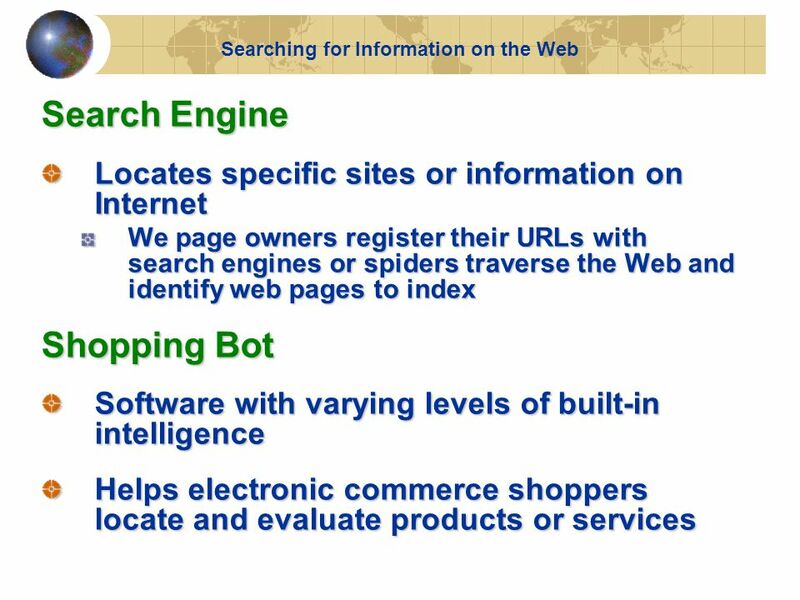 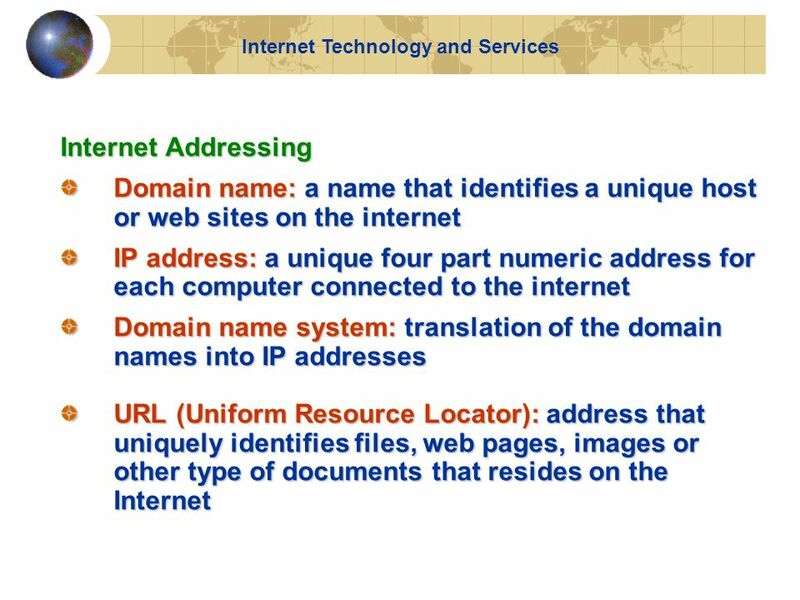 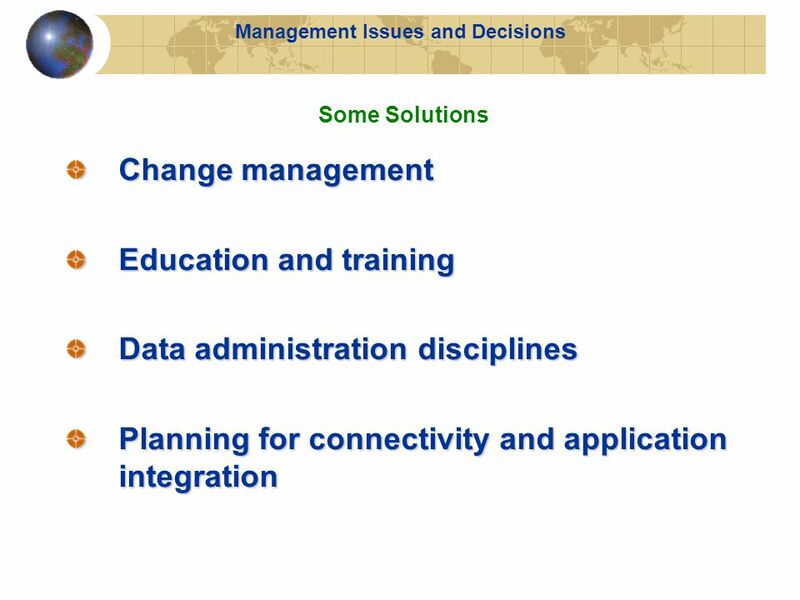 9.1 © 2004 by Prentice Hall Management Information Systems 8/e Chapter 9 The Internet and the New information Technology Infrastructure 9 9 THE INTERNET. 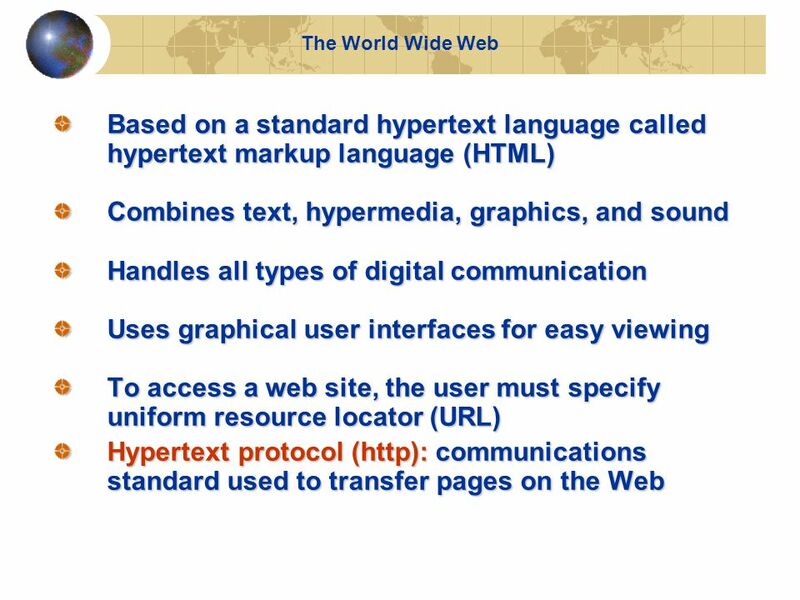 The Internet Useful Definitions and Concepts About the Internet. 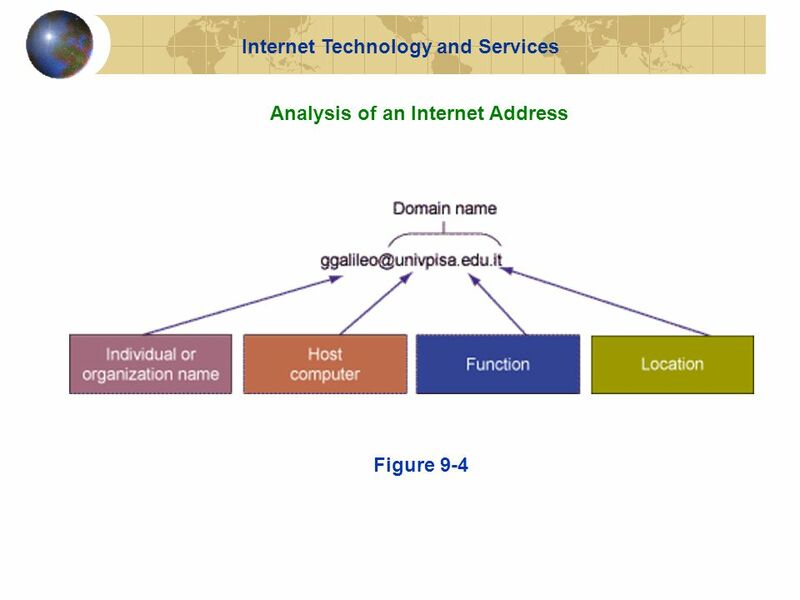 1 Pertemuan 11 & 12 The Internet and the New Information Technology Infrastructure Matakuliah: J0454 / Sistem Informasi Manajemen Tahun: 2006 Versi: 1. 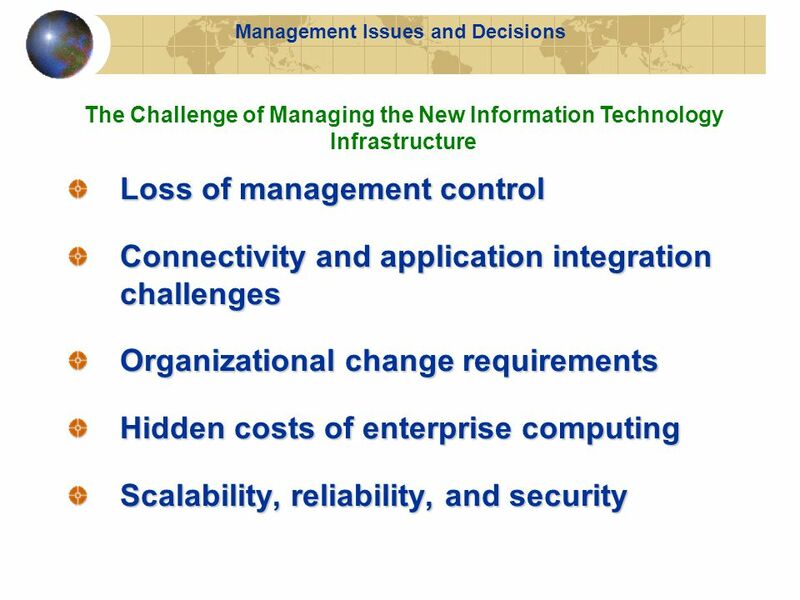 1 Chapter 10 Internetand New Information Technology Infrastructure. 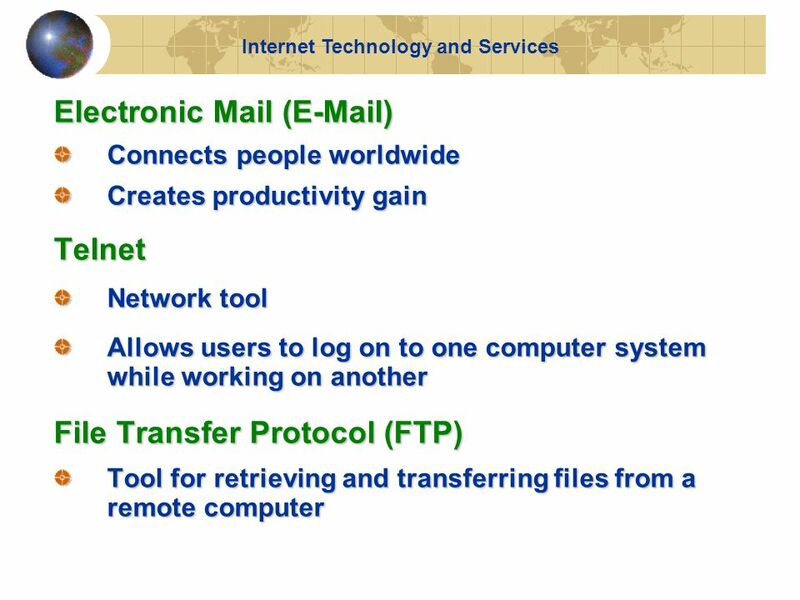 THE INTERNET It began as government connection of universities. 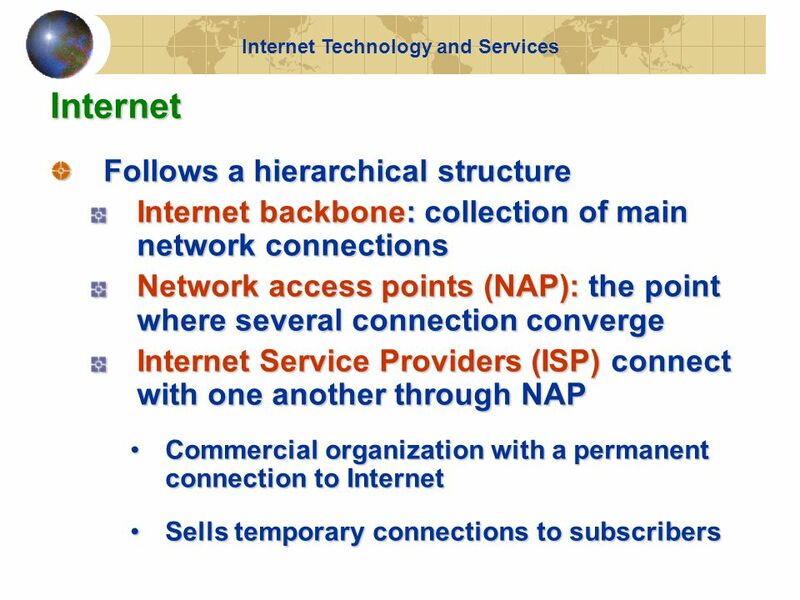 Internet service provider (ISP): Organization that has a permanent connection to the Internet. 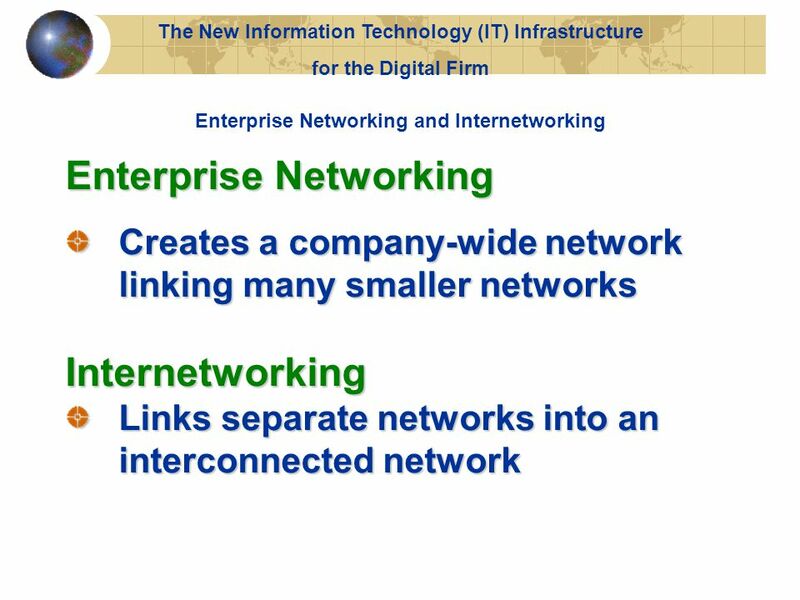 Chapter 11 Enterprise Networks & Internet Enterprise Network Architecture Internet Enterprise Network & Internet. 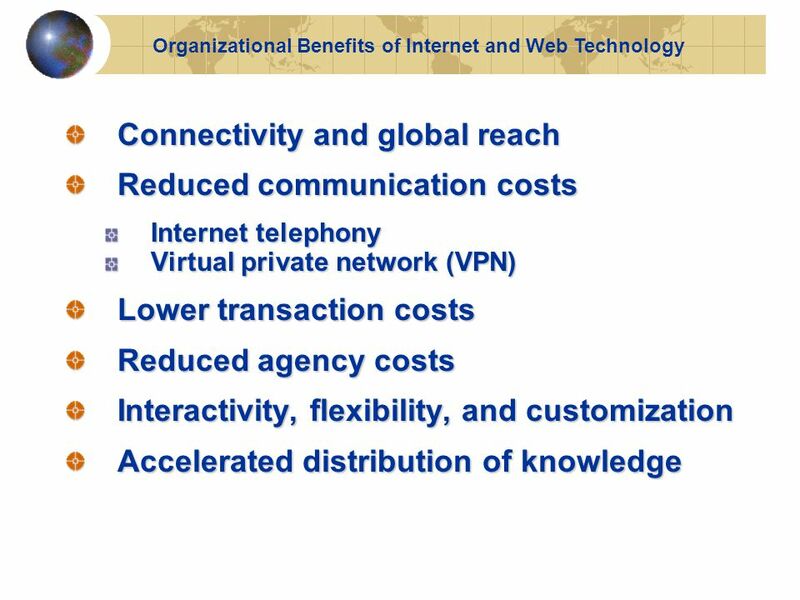 9.1 © 2003 by Prentice Hall 9 9 THE INTERNET AND THE NEW INFORMATION NEW INFORMATIONTECHNOLOGYINFRASTRUCTURE Chapter. 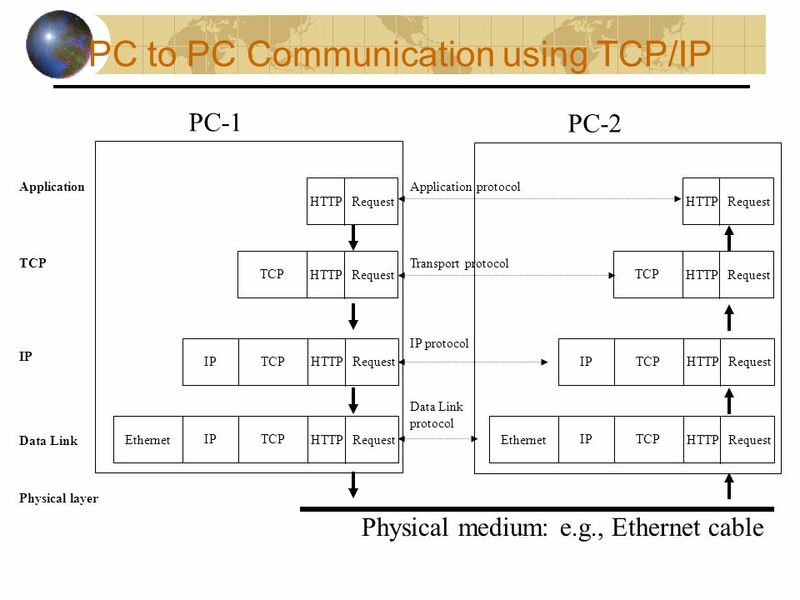 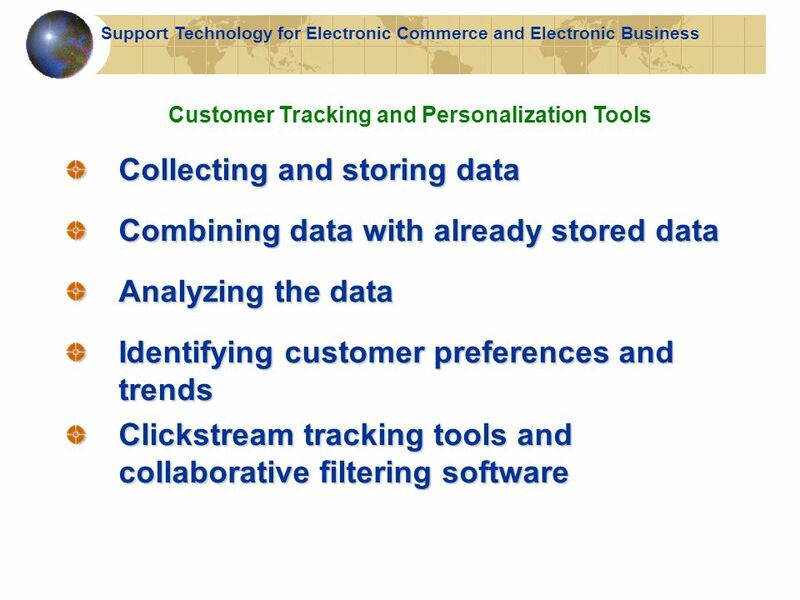 Lecture slides prepared for “Business Data Communications”, 7/e, by William Stallings and Tom Case, Chapter 8 “TCP/IP”. 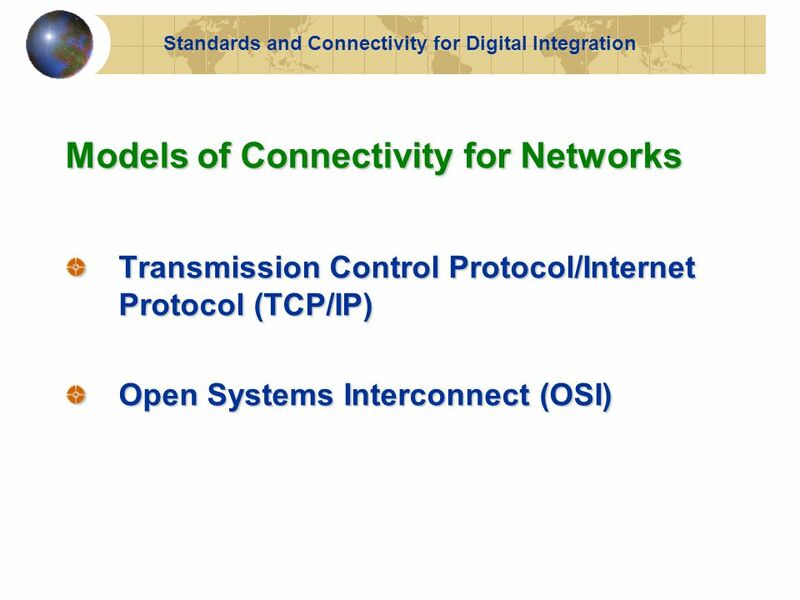 A global, public network of computer networks. 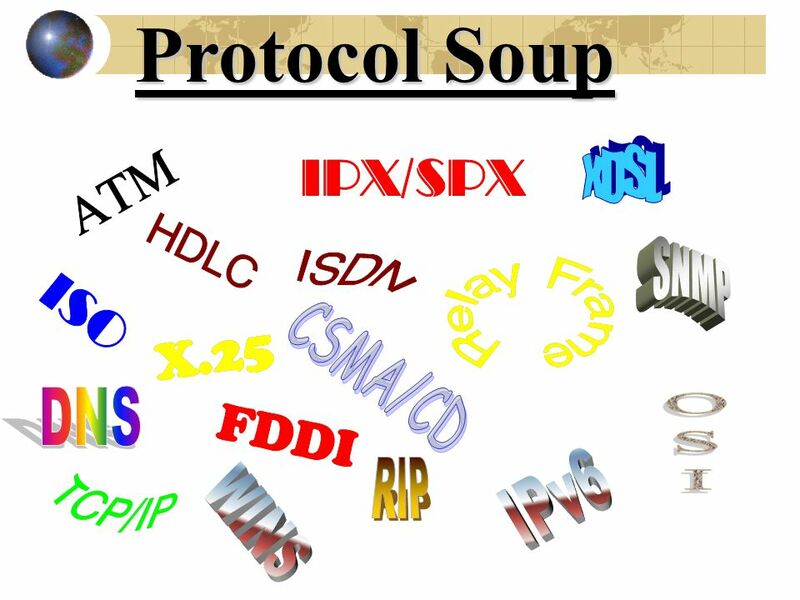 The largest computer network in the world. 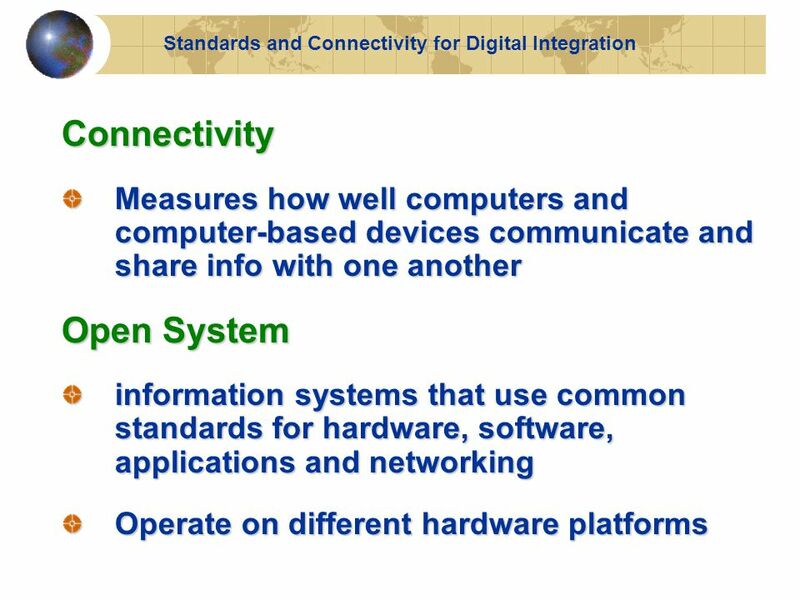 Computer Network A collection of computing devices connected.